Happy New Year and Welcome back to a wonderful set of great new stamps…and sales!! This month’s theme is Sale-a-bration and Occasions stamp sets. What, you may ask, is Sale-a-bration? Or what is Occasions stamps? Well…for every $50 purchase you make from January 3, 2017 through the end of March, you can earn stamps from the Sale-a-bration catalog! 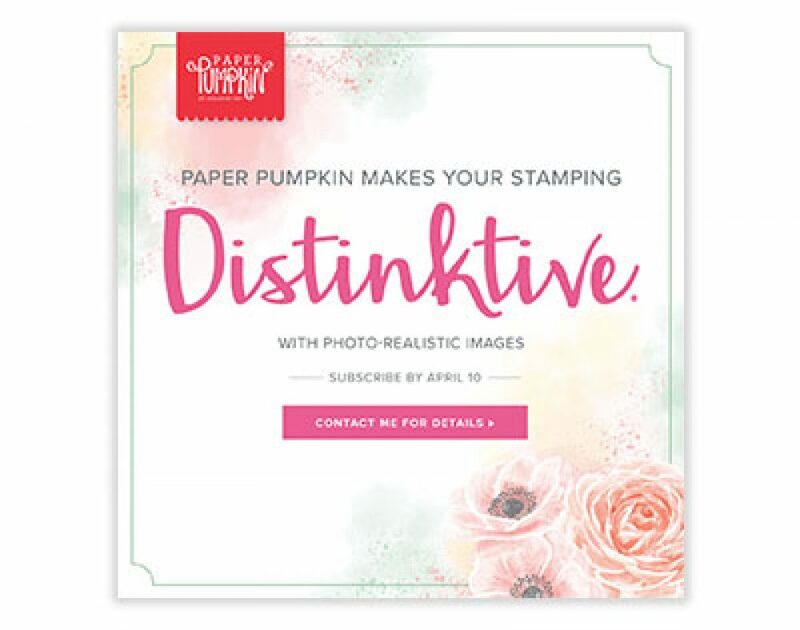 And the Occasions catalog has some great new stamp sets to help you get started with birthday cards, Valentine cards, Easter cards, or whatever you decide! My personal favorite stamp set from the Occasions set is the Petal Palette clear mount set. The little bird is soo cute! And the flower designs are perfect for coloring with the Stampin’ Blends alcohol markers. The matching Framelits make cutting out the stamped images a breeze, so putting together your finished card is a snap! The Petal Palette stamp set also has a matching Designer Paper, which has some designs which you can color, too! Here’s a cute little card I made using the Petal Palette stamp set. I used the matching Petals and More framelits to cut out the bird and the flowers. I colored everything with my Blends markers, and used the Petal Palette DSP for the background and placed them all on a piece of Melon Mambo cardstock for a complete look. In order to jazz it up a little more, I added some basic rhinestones to some of the flowers and used a basic pearl as the bird’s eye. So I could keep the flowers on a curve for more of a “wreath” look, I used the layering circle framelits, cut out my preferred circle and glued the flowers in the arraignment I wanted with glue dots and snail adhesive before placing them on the card. I used some dimensionals to add some depth and to “pop” the bird out of the flowers. I can’t wait to show off more projects with this cute little suite! If you are interested in getting any of the items I used in making the project above, feel free to click the “shop with me” link at the top of my blog, or click on the catalog links along the right side of the page. and if you happen to forget where you are in the hop, just come on back here and find your way back to the hop! What a beautiful card! Love the design. Happy New Year!